A casual 5,500 miles separate me and Cowboy for the majority of the time. Another part of the deal is the 8 hour time difference, which means that when I wake up, he is just going to bed. I am lucky that it is only 8 hours, and I do get to speak to him for the last part of my day, and sometimes first thing in the morning if he stays up late. Getting to see each other is expensive, both in terms of high flight costs and in terms of the time needed to get across the planet and back. It’s really not the best idea either of us ever had (but he started it, so I like to blame him). For a little while, I joined a very popular forum for people in long distance relationships, and for a while I thought I’d found a good place to hang out. Then I grew tired of the threads detailing how somebody hadn’t replied to a message, or somebody hadn’t wanted to sleep with Skype running, or how somebody had said something like “We need to talk” and the forum was supposed to suggest what it was about. I realised I didn’t identify with any of these people. Sure, they were in long distance relationships, just like me, but I came to the conclusion one day that, actually, I was secure enough about my relationship not to need to wise counsel of complete strangers. I didn’t panic (any longer) when I didn’t get an immediate reply to my message. I would put my phone down and go and get on with something else. I didn’t get jealous of his friends who are girls. I didn’t feel the need to share my relationship with these people. Cowboy and I take it one day at a time. We say good morning, we say good night, every day without fail – unless we have no signal, no battery, or one of us is drunk. We don’t get angry with each other for having a life outside of Skype and What’sApp. I encourage him to go out and socialise and flirt, because I know he enjoys it and I also know that he would never go beyond flirtation and a dance. We trust each other completely. We talk openly and frankly about marriage and kids, so we both know where this is going. We also avoid games at all costs. He is probably right, but distance seems to have taught us a great deal of tolerance. Those little things, the missed messages or the plans that don’t include waiting by the phone or the computer, don’t matter. 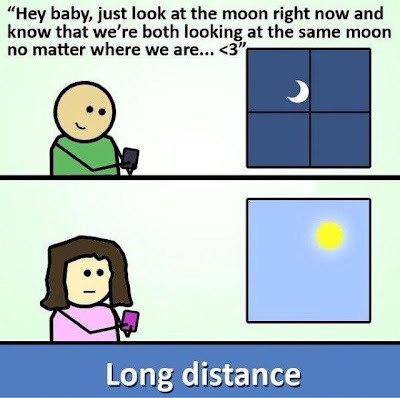 The geographical space between us isn’t enough, we give each other space away from communicating. And we work hard at keeping drama out of it. I choose not to mind about his grubby fingernails or his (obscenely) smelly feet, because on balance he’s a pretty good catch. I like to think we’ll keep these things going when we finally live together. 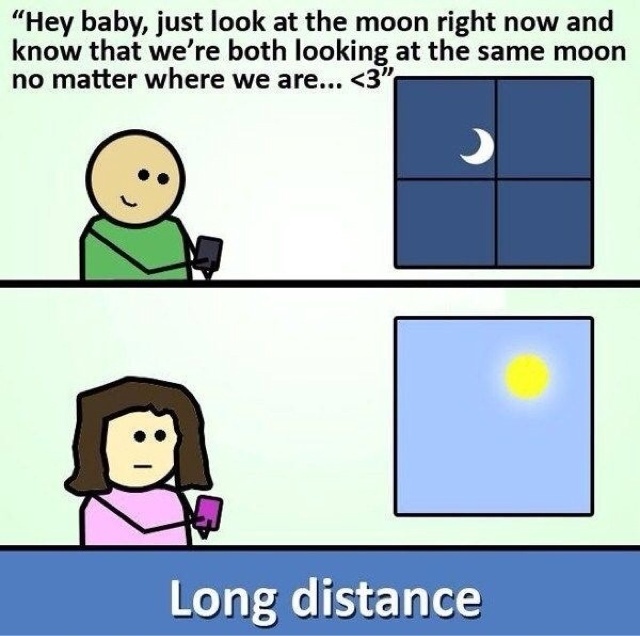 I don’t think our relationship is special or different because we’re long distance. Maybe that’s why I didn’t last on the specialist forum.